Just removed from working server due to upgrade. Just removed from a working server due to upgrade. 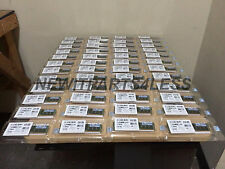 You are bidding on 16GB (4x4GB) kits, removed from a brand new Apple Mac Pro (cylindrical type). Will work with PC providing the machine has the same bus speed. Message me if you have any questions Happy bidding. Hynix 2x 8GB (16GB) ECC RAM. Be aware that in the Apple Mac Pro you can use ECC (default) or non-ECC modules, but you cannot mix types. These were recently removed from a working Apple Mac Pro system; one of the 'cheesegrater' tower variety. This item is fully tested and has passed all diagnostic checks. Get In Touch. HP 16GB Kit with 2 x 8GB matched sticks. This fits many servers from Dell, IBM and HP. HP Part No50020-071. Pictures show the item and this is what you will receive. CAS LATENCY: CL15. MANUFACTURER: MICRON. ERROR CORRECTION CODE ( ECC ): YES. COMPONENT DENSITY: 16GB. REMOVED CAREFULLY FROM WORKING MACHINE. 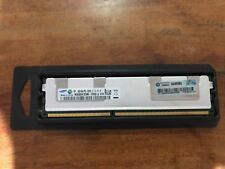 Samsung 16GB 2Rx4 DDR3 PC3-14900R DDR3-1866 ECC Registered Server RAM These are used and have recently been pulled from a development environment, all in good condition and working normally. All items on this listing are the same, but some may have varying product codes so I’ve included an image of each and the codes are listed below; M393B2G70QH0-CMA M393B2G70DB0-CMA M393B2G70EB0-CMAQ3 Dispatched via Royal Mail tracked & signed for. This module has been fully tested. We have links with Warrington Job centre and Warrington Voluntary Action who send us volunteers from the local community that are unemployed or faced with disability. The money we generate is put in a pot that we use to invest into the community with projects, fundraisers and community events. Itwill not work in your desktop PC ~. Total 128GB RAM. 8 X 16GB SK Hynix 2Rx4 PC4-2400T-RB1-11. "USED,TESTED & FULL WORKING ORDER,TAKEN FROM A WORKING SERVER". 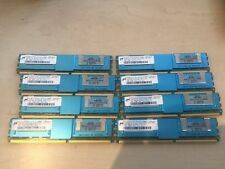 4 lots of 4GB DDR3 server RAM, recently removed from our working servers which are no longer required. Type: DDR4 SDRAM. Everything included in the sale is photographed. Anything not photographed is not included. Item Details Data & Sizing Other Information. The Hynix part number is HMT42GR7BFR4A. For HP G9 & Dell R630 R730 T7910 etc. for HP G9 and Dell equivalent servers & workstations. Removed only due to upgrade. This consists of 1x Samsung 4GB and 3x Hynix 4GB. They have been tested together in a server and they work just fine. 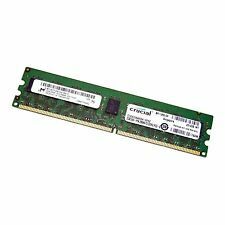 8GB Micron MT18KSF1G72PDZ-1G4E1FE PC3L-10600R DDR3 ECC Server Memory RAM. Condition is Used. Dispatched with Royal Mail 2nd Class Letter. Hynix 4GB 2Rx4 PC3 10600R -9-10-E1 1333MHz x 8 (32GB). Price is per 4gb (single stick). Pulled from a Google search appliance, which is a remodelled Dell R710 server. They have been tested in a server and they work just fine. Apple Mac Pro Memory 14900R 32GB kit 2x16GB. Supported on 2009/2010/2012/2013 models. Dispatched with Royal Mail 1st Class Special Delivery. Hynix DDR3 16gb 2Rx4 PC3L-12800-11-13-E2 Server Ram Memory. Condition is Used. Dispatched with Royal Mail 1st Class.